Harley is a 13.5-year-old spayed female Golden Retriever who was diagnosed with osteoarthritis in 2009, at the age of five years old. 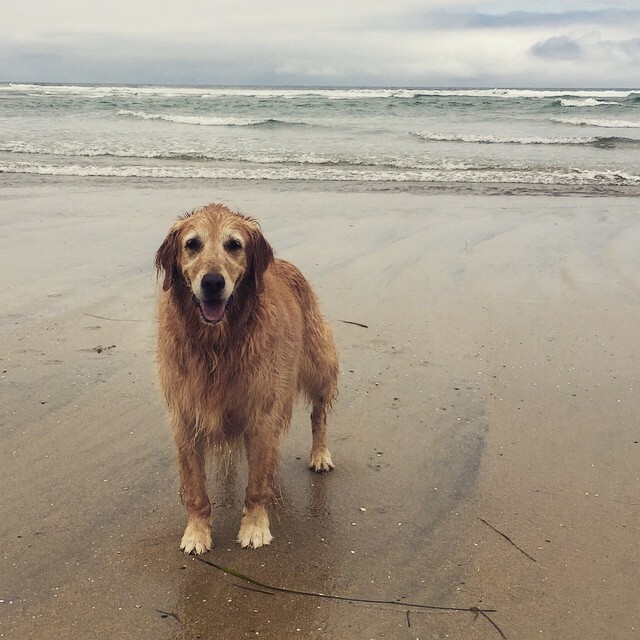 She had been a healthy, rambunctious dog since puppyhood and was rarely ill. Harley loved to retrieve balls and swim at the beach, but her owner had witnessed intermittent lameness in her front limbs after, particularly on playful days. She was seen by a veterinarian, where they diagnosed osteoarthritis in both carpi (wrists). She was prescribed two pain medications – a canine-specific NSAID (Rimadyl) and an opioid medication called Tramadol. She was also started on a daily glucosamine supplement called Dasuquin. Her owner was able to manage Harley’s arthritis with exercise restriction and pain medication as needed. Harley’s owner eventually noticed that her carpi appeared “knobby,” and they no longer flexed or extended with ease. The joints would also creak and crack when manipulated. This is known as crepitus, which is common in joints afflicted with arthritis. 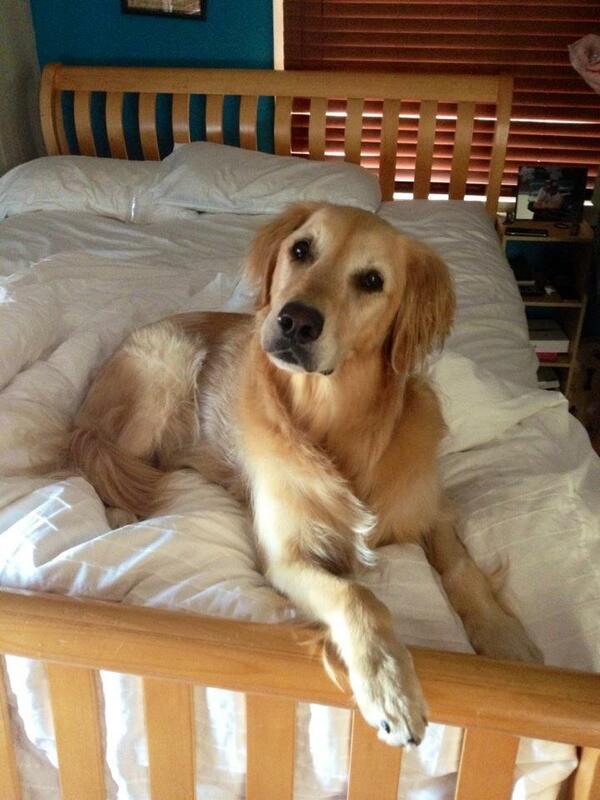 In October 2012, Harley suffered from a partial cruciate ligament tear of the left stifle (knee). A few years later, she began exhibiting toe-touch lameness on her right rear leg, which was also diagnosed as a partial cruciate tear. 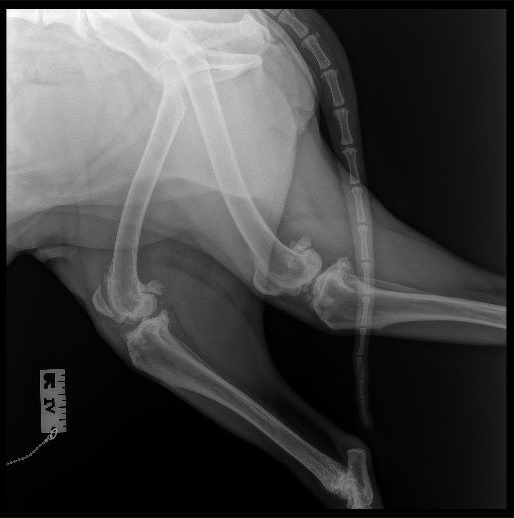 It is common for dogs with a cruciate ligament injury on one leg to eventually tear the ligament on the opposite leg because of the increased strain placed on the “healthy leg.” This was a huge setback for Harley, who now experienced pain in all four limbs. With exercise restriction and close monitoring by her veterinarian, her stifle injuries improved with time. Harley was not overweight but was put on a strict diet to facilitate weight loss, as it is important for dogs with orthopedic injuries to maintain a lean body condition and alleviate extra stress on the joints. Radiographs of Harley’s stifle joints in April of 2015 showed severe degenerative joint disease, and a third pain medication, Gabapentin, was added to her medication regimen. It is important for dogs with osteoarthritis to remain pain-free so that they can stay active, as arthritis can worsen and become increasingly painful if the affected joints are not utilized. Adding a third pain medication to Harley’s regimen allowed her to continue her daily walks and keep her body moving. By age 11, Harley was suffering from arthritis in both carpi and both stifles; her pain was progressing, and her gait had become stiff. She exhibited difficulty rising and lying down and would pant frequently. She would also lick her carpi often, another sign of pain. Until this time, her disease had been well-managed with Dasuquin glucosamine supplements; daily Rimadyl, Gabapentin, and Tramadol for pain; and omega oils. Her owner elected to start a trial of Adequan injections to see how Harley responded. Harley received a month-long course of twice-weekly injections of Adequan, a disease-modifying osteoarthritis drug that helps control the signs associated with arthritis. Adequan works by inhibiting the enzymes that break down joint cartilage, thereby reducing joint damage (Adequan, 2017). Harley received weekly injections for several months. However, because each patient responds differently to certain treatments, Harley did not respond sufficiently to the Adequan injections, and so it was discontinued. Additional radiographs of her carpi and stifles showed severe osteoarthritis in all four joints. Her owner elected to pursue stem cell therapy, which radically improved Harley’s pain levels, mobility, and overall quality of life. Stem cell therapy is a well-researched method of regenerative medicine. Stem cells have been widely studied in both human and veterinary medicine and are known for their ability to differentiate into tendon, ligament, bone, cartilage, cardiac, nerve, muscle, blood vessels, fat, and liver tissue (Vetstem Biopharma, 2011). Stem cells are present in high concentrations in a dog’s abdominal fat; the stem cells are harvested from a patient’s own adipose (fat) tissue and are formulated into syringes to be injected directly into the affected area of that patient – for Harley, this meant having her own stem cells injected directly into the joint capsules of her carpi and stifles. This form of regenerative medicine treats various degenerative diseases, including osteoarthritis. Harley’s owner worked with a local San Diego company called VetStem, a company that specializes in stem cell harvesting and research. Stem cell therapy requires two anesthetic procedures. 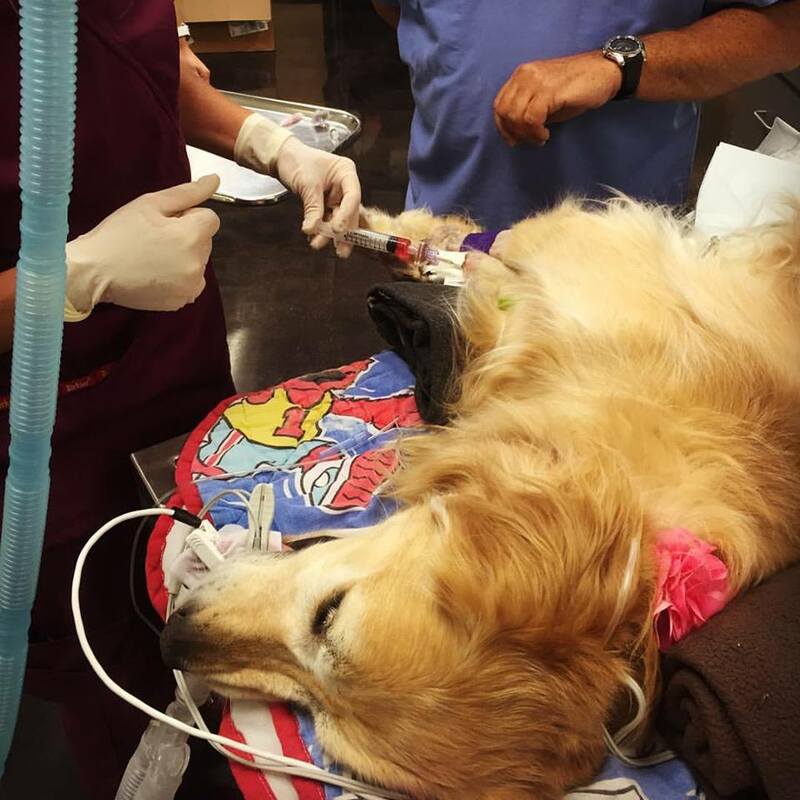 In December 2015, Harley underwent her first procedure for adipose retrieval. Her adipose tissue was sent to VetStem, where they harvested her stem cells and prepared them for injection. VetStem was able to retrieve enough syringes for two rounds of injection. A few days later, she underwent a second short procedure, and the stem cells were injected directly into her carpi and stifles. Harley recovered quickly from her procedure, and the results of her injections were near-immediate. 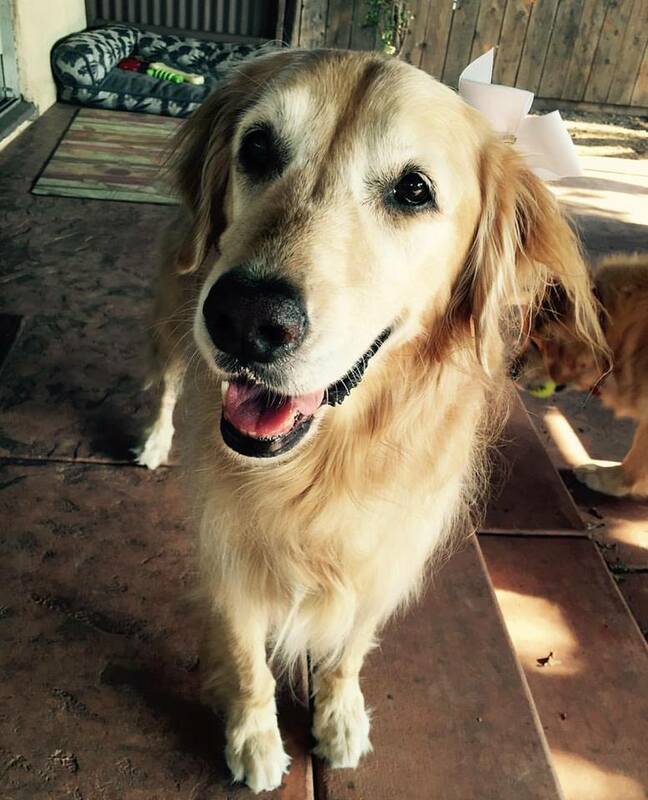 After 6 years of daily oral pain medication, Harley was able to live pain-free for over 3 months without them. She was able to lie-down and rise with ease, and her daily walks became longer and more energetic. For the first time in years, Harley got to play fetch at the park. The pain-relieving effects of stem cell injections are not permanent, and so in August 2016 when she began to show symptoms of discomfort again, the remaining stem cell syringes were injected into Harley’s carpi and stifles. Harley benefited from the injections, but still required daily oral pain medication to keep her comfortable. 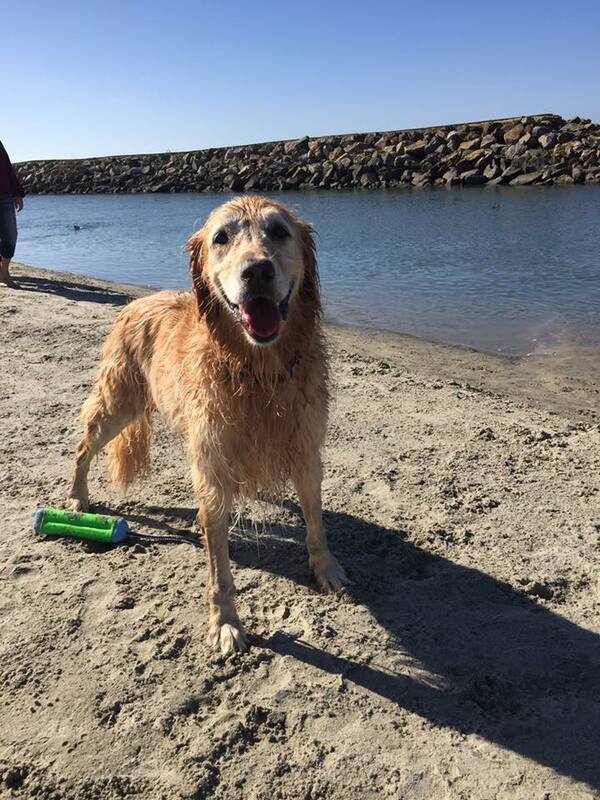 She was able to return to the beach to swim and could play fetch for short periods without pain. 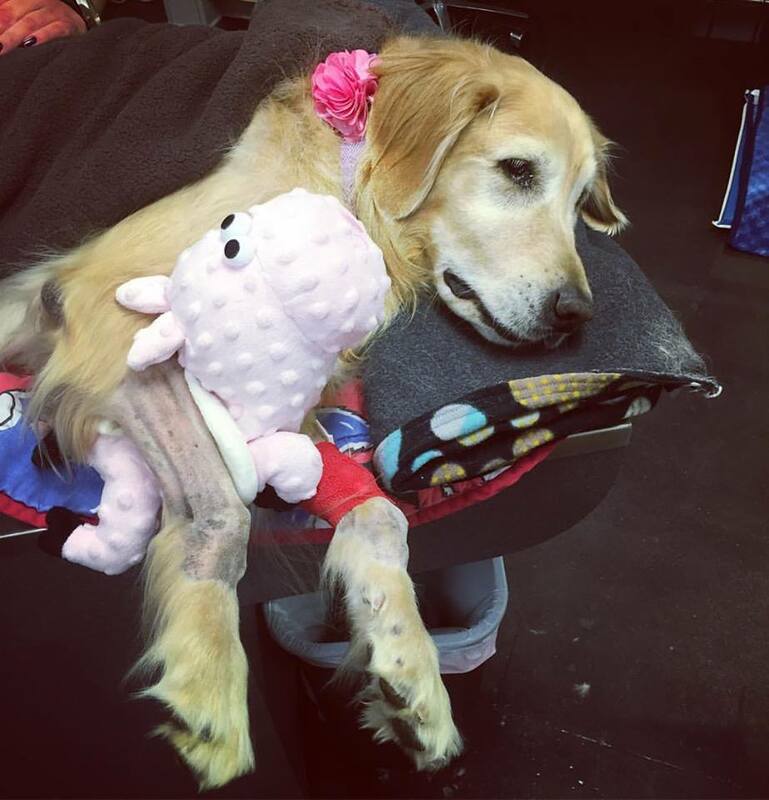 Harley’s owner reports that stem cell therapy was the best possible decision she made for Harley’s well-being; it was a worthwhile expense to see such incredible improvement in her happiness. Harley started to decline again in January 2017; this was not surprising to Harley’s owner or her veterinarian, as osteoarthritis is a degenerative disease. Radiographs showed spondylosis (bone spurs) and arthritis in her spine, along with continued arthritic progression in her carpi and stifles. Her medication regimen was reformulated, and now included Dasuquin, Omega supplements, Gabapentin, Tramadol, Carprofen (an NSAID), and Amantadine (an additional pain medication). At 12 years old, Harley was also battling the natural effects of old age and was having difficulty with her balance and strength. Her pain was well-managed, but her independence was compromised, as she now needed assistance standing up, and walking up or down stairs. She exhibited hind-end weakness and crossing of her back legs when walking. Harley’s owner began researching options for her arthritic, geriatric dog, and learned about canine rehabilitation. She scheduled a consult with a facility called Tsavo’s Canine Rehabilitation and Fitness, located in Del Mar. Tsavo’s specializes in a multitude of rehabilitation needs, including (but not limited to) post-operative orthopedic rehabilitation, degenerative spinal conditions, and general low-impact fitness. In August 2017 Harley and her owner met with Maja, the owner of Tsavo’s, and together they formulated a plan for Harley’s needs. Twice weekly, Harley visited Maja; she received cold laser therapy on her painful joints, as well as massage, stretching, and various strengthening exercises. 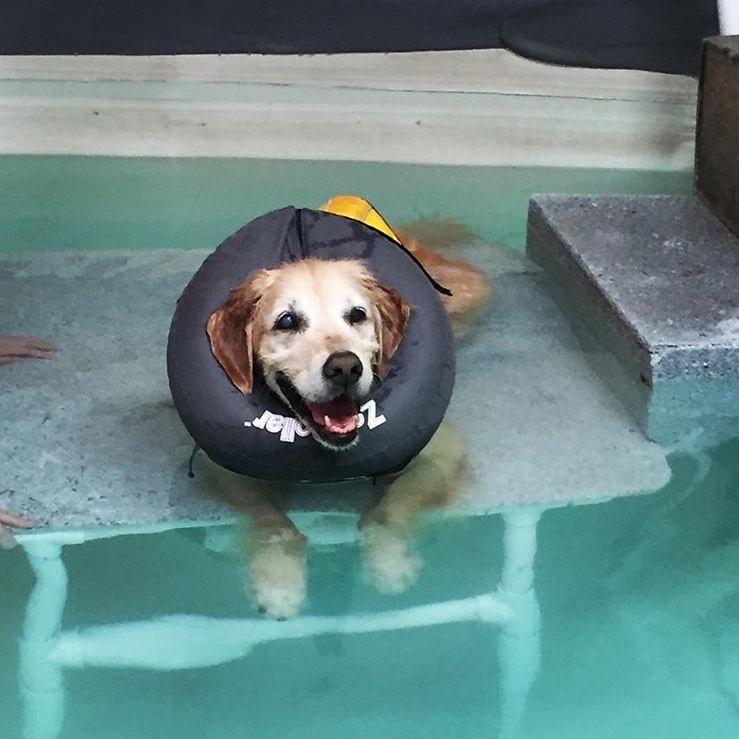 At these visits she would also do hydrotherapy on an underwater treadmill, which is a pain-free way for dogs to receive low-impact exercise. She would also swim in the large pool to loosen up her muscles and joints and would occasionally receive acupuncture treatments. After a few months of rehab, Harley became noticeably stronger and no longer needed assistance to stand. She was able to go for slow walks around the block, and her overall energy level increased. 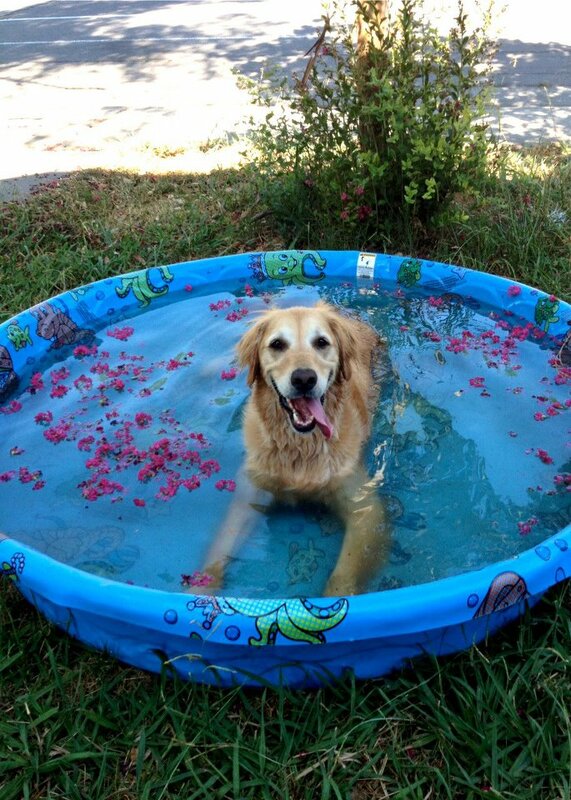 Today, Harley visits Maja once weekly for hydrotherapy and rehabilitation*. She maintains her regimen of oral medication and joint supplements and continues to live a happy life with chronic osteoarthritis. She has slowed down and prefers to spend her days lounging in the sun; but she is able to live comfortably with rehab therapy, daily pain medications, and close monitoring by her doctors at AVC. With the help of various treatments, Harley has lived a long and full life despite her chronic condition.